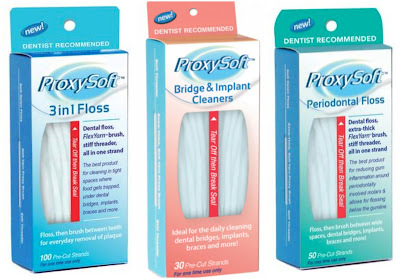 Head over and fill out the form to request to receive a FREE Proxy Soft Floss or Bridge Cleaners Sample. There are three samples to choose from: 3-in-1 Floss, Periodontal Floss, and Bridge & Implant Cleaners. While supplies last.